Rope twitch with wooden handle. 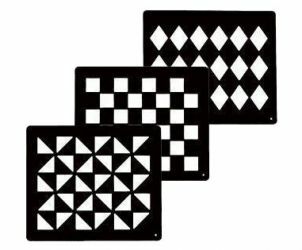 12" x 14" horse grooming stencil sheets. Set of 3. 7" Wooden hoof brush with medium bristles. Hoof dressing applicator and container. 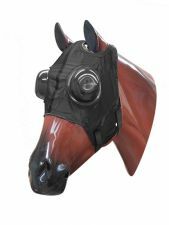 Horse size full cup blinker hood. 28" x 4.75" Neoprene jowl sweat with velcro closure. 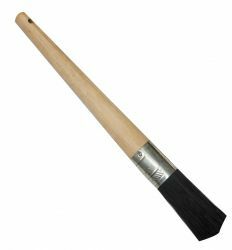 10" Wooden handle hoof dressing brush. 14.5" Drop forged steel shoe spreader. 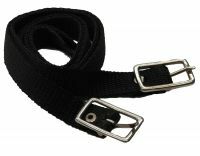 15" x .5" nylon roller straps. Sold in pairs. 14" Black neoprene tail wrap. Stiff bristle brush with acrylic base. 7" x 6 " Fleece grooming mit. 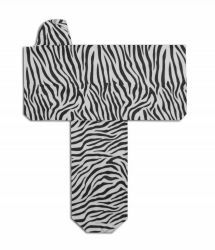 Zebra print cordura nylon full saddle cover. 6pc Jr. Grooming kit. 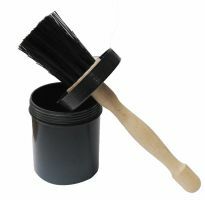 Includes a sponge, hoof pick, stiff bristle brush, medium bristle brush, curry and mane comb. 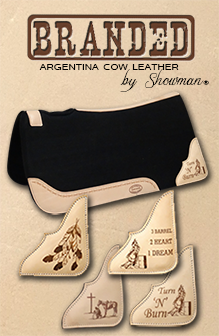 Showman ® Zebra pring durable Lycra® braid-in tail bag. 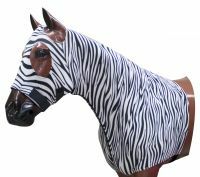 Showman ® Zebra print braid keeper hood. 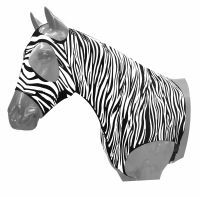 Showman ® Zebra Print Form fitting, breathable Lycra® hood with zipper neck. 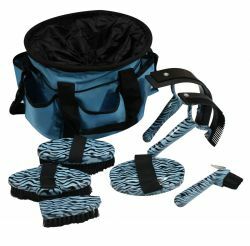 Showman 7 piece zebra strip grooming kit with nylon cordura carrying bag.